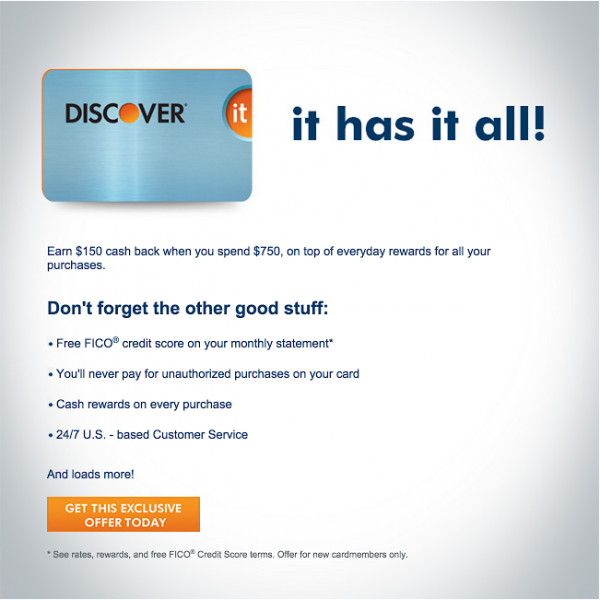 Last week, Doctor of Credit and I were in a Twitter chat about a special Discover offer. @ChasingThePts Link for $150 offer? What did you search for? This was absolutely my case. After applying, a prompt came up and said I needed to call Discover. After I called, a very very pleasant CSR asked if I really wanted a second card and that it wasn’t a mistake. I told her it was not a mistake and I was giving her my story where she cut me off and said “OK” and began to process the application. No story needed as to why I need the second card. The only thing needed from me was moving some credit to the new card. As you can see if the 5% went to the bottom of the fraction it drops the cost per point. Your example should be $14/500=$0.028/pt right? You paid $100 with a 5x card to earn 500 points and sold the $100 card for $86. You spent $14 to get 500 points. I’m unsure how to came to $9/500 or $14/1000, what am I missing here? Wow, 7! I really have to step up my game. When you have the Promotions tab enabled, they send you more ads than if you remove that tab? @Noah & @Voyaging Doc – the example say is getting a 5x portal points from Sears buying $100 gift card which counts as a department store, so with the 5% cash back, I’d receive $5 and it goes into the numerator. On the flip side, if I used a Chase Freedom, get 5x for the category spend, I’d put it towards the denominator as I’d combine and use an Ink Plus/Sapphire Preferred combo to transfer as a loyalty program. @CtP, Yeah, I think I’m following now. I was confused where the extra 500 points came from, but if we assume a 5x portal it all adds up. How do you go about getting multiple freedom cards? Second one, it was an old Washington Mutual Mastercard that they converted to some weird Chase card earning proprietary points. So I asked if it could be converted to a Freedom Mastercard, which they did and then it was changed into a Visa now. SO, you need a gmail account to somehow be targeted for a minimum spend promotion by DS on a card already had? Because I have a gmail account and if instructed, I will do whatever to have this promotion targeted to me. I have 0% with them through Sep/Oct or so. I would love to do this $750/$150 back deal with my present DS card. Title was about a second DS card. Ok, after another review, found that commentary. I have a $15K CL with these DS folks. I guess I can expect to be instructed to call in to verify my application desire. One thing not mentioned (sorry, if I missed). Can I expect a hard pull with DS on this 2nd card adventure? Been with them since 1996. They made boo-koo bucks on me for the first several years but been awhile since I handed over my wallet to them in interest. SO….I figure I might be a shoo-in. BUT, at what “pull” cost? For this particular one, I found the offer in my GMail account, but there appears to be other random offers here and there. 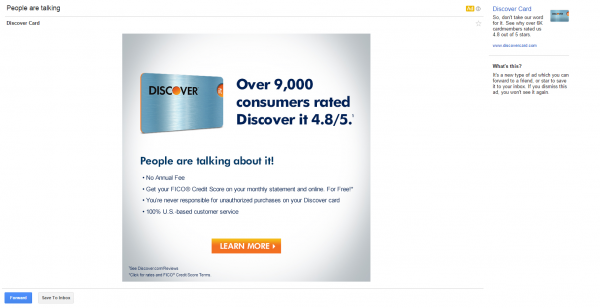 On my second Discover card, they also took some credit away from my first Discover card in order to approve me for the second. It was a hard pull, for me it was Equifax, but would depend on the state of residence. You talk about selling the girt card to maximize reward categories, In particular for the Freedom card. What is the best site to liquidate these purchased gift cards?